Readers, it’s an interesting one this week. I’ve just returned from two weeks at an adults only all inclusive resort in Mexico (more about that one later). So this week it’s back down to earth with a bump after consuming my entire body weight in food and cocktails over the fortnight. However, I agreed with Hubbub (a new charity which takes a fresh approach to communicating environmental and waste issues focussing on people's passions like food and fasion as a couple of examples) to take part in the #ExpressYourShelf challenge in association with Tesco and Love Food Hate Waste. We’re being encouraged to think about food waste and how we can make better use of food leftovers – rather than just throwing things out. 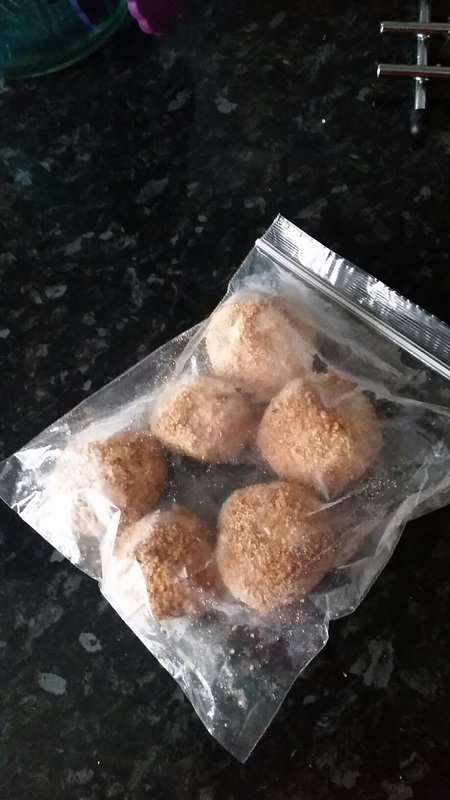 This week, I have £40 to feed 2 of us and be as creative as I can. Ok, so it’s been a bit of a cheat day, I have to confess. We landed back from holiday at 6am and breakfast was served on the plane – so first meal of the day we didn’t have to pay for. As we had nothing in the fridge (see my Facebook photo). We had to survive on what was left in the house. Two tins of soup were last spotted hanging around at the back of the cupboard. I blew the cobwebs off the top and fired up the microwave. Lunch complete. Dinner was also a cheat – we were fed by friends who took pity on us. Due to the lack of food in the house I donned the boots and winter jacket (I’m cold… don’t judge. It was 38c in Mexico yesterday) and popped down to Tesco to get a few things. I arrived to bargain city. The stars aligned. There were YELLOW STICKER products to be found on the shelf. A great start to my bargain week. 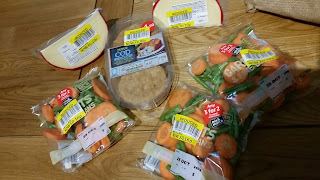 I started with three bags of mixed carrot & bean at 16p each. 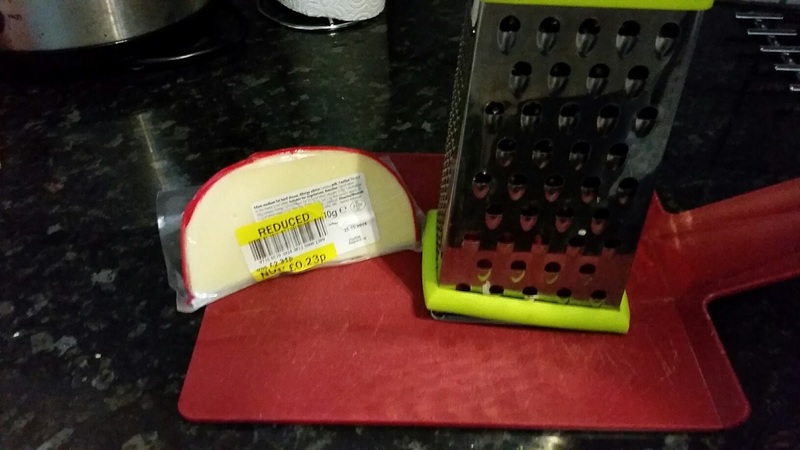 Then I found two blocks of Edam for 23p each. 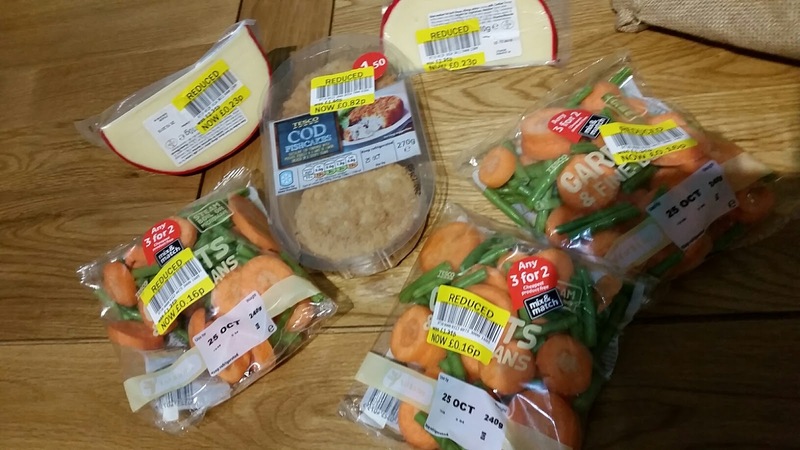 Then I found cod fishcakes for 82p. YES! 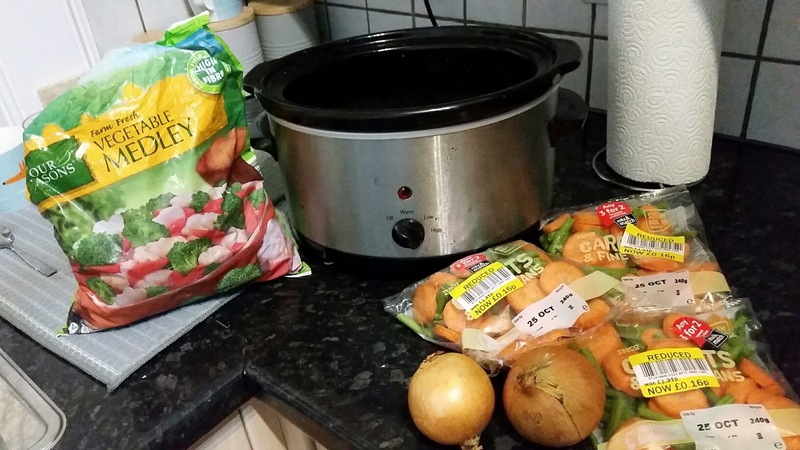 So, I’ve come home and the slow cooker is on. Soup is in production for tomorrow's lunch. I added an onion for 20p, a handful of frozen veg to bulk it out which I already had and a stock cube for the cupboard. Four hours on high and that’s lunches fixed for the next few days. I picked up a few other things to take me through the week including milk, cooked ham slices and satsumas which I’ll work with later in the week. The edam has now been grated and frozen – although it’s short dated, it can easily be taken out and defrosted, then used in cheese sauces, cheese on toast etc. Total spend so far - £5.00. Alarm goes off, first day back to work. I’m a fan of keeping my larder well stocked with dry goods and I said a silent prayer to the cereal gods when I found a half box of Fruit & Fibre in the cupboard. Fresh milk was bought yesterday, so I had cereal, milk and a cup of tea before I left for the office. I took my first tub of homemade soup to work today. 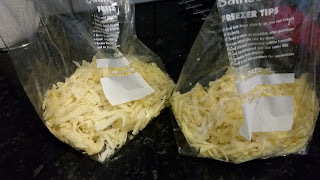 Went a bit wild with the chilli flakes though – adding some milk to tomorrow’s portion to take the heat out a little. I took a slice of ham and some of my frozen cheese in a tub, which had defrosted by lunch and I bought a roll at the Tesco bakery. I made my roll at my desk and finished off with a yoghurt and a satsuma from yesterday’s shop. Lunch done. Dinner was an easy affair tonight – the pork burgers were leftover in the freezer (top tip – if you are a household of two, buy a four pack of burgers when they are on offer – buy two and freeze two – that’s a standby meal for another night). I’d previously made a big batch of potato and chorizo tapas balls for a tapas night a few weeks ago and ended up with leftovers which I threw in a freezer bag. 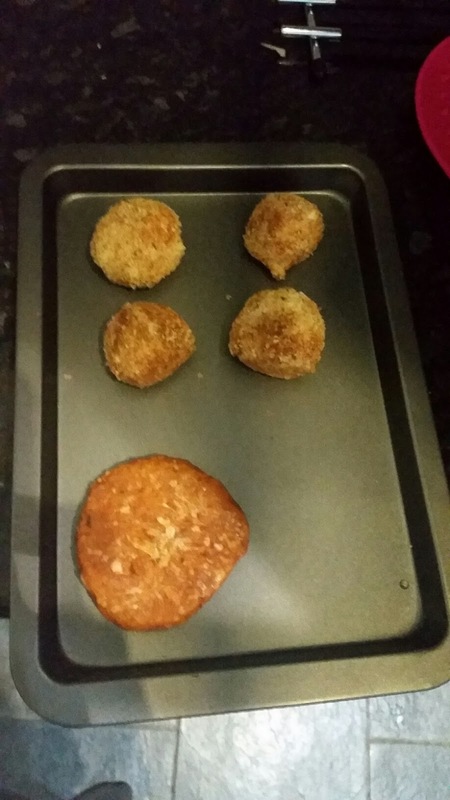 Luckily, they’ve defrosted still ball shaped and seem to have oven cooked fairly well. I had some more frozen veg in the freezer, so I added half a cup of frozen peas to my dinner to get a portion of fruit and veg in with my meal. Again, top tip, buy frozen veg, it’s been proven to be rich in nutrients, is relatively cheap AND it doesn’t go off quickly.